A Level 3 / P-4 Crosscut Paper Shredder. 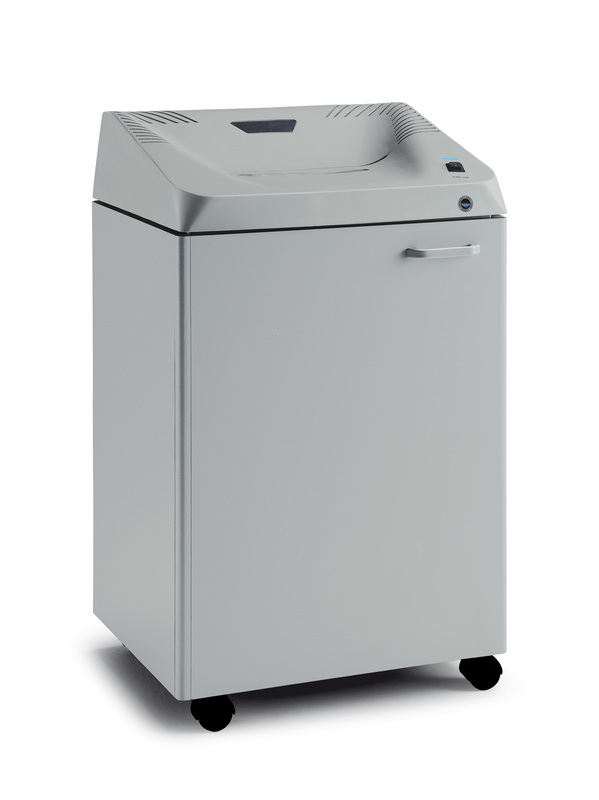 This mid-size shredder for office use is built with precision designed Carbon Hardened Stacked Cutting Knives unaffected by paper clips or staples. Easily handles all Paper, CD/DVD discs, Credit Cards, Smart Cards and Film. A full 12 Throat Opening for easier feeding of paper in all directions. The 3002-P4 includes an integrated Internal Automatic Oiler to lubricate cutting knives for maximum shredding capacities. 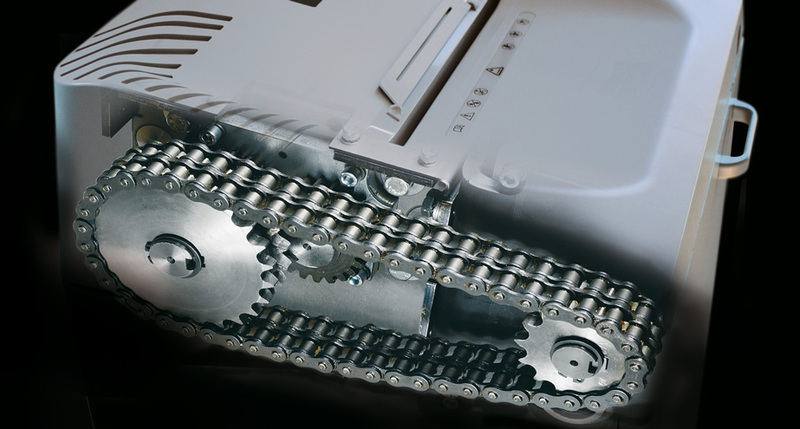 A 24 Hour Continuous Duty Motor, Heavy Duty Chain Drive and Steel Gears. No internal nylon or plastic gears as is common on many shredders. "ENERGY SMART" power saving technology puts the shredder into a power saving stand-by mode after 8 seconds of inactivity. An attractive cabinet mounted on casters with safety indicators for bag full and door open. Also features Auto Start/Stop operation and Auto Reverse for accidental jams. Trade Agreement Act (TAA) Compliant.